Dickson offers the WiZARD2 system in two frequencies. The 900MHz variety is the US version and the 2.4GHz system is the International version. The two frequencies are NOT interchangeable. Please look at the faceplate of any of your existing units to confirm which version you own. The WiZARD2 receivers are the brains of the system. 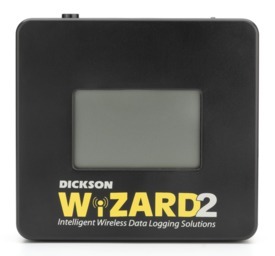 Accepting data from up to 60 wireless loggers, these units allow you to collect data without bringing the loggers back to your computer. The secure version even offers email and text message alerts to notify you when no one is around. If you're only ordering ethernet units, you do not need to buy the receive/software combo; simply choose from the software only options. 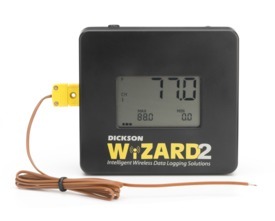 Wirelessly record two channels: temperature and humidity from any number of locations around your facility. All of the loggers are great for labs, clean rooms, storage areas, and many other areas you may want to monitor. Choose from various models with probes, alarms, and displays. 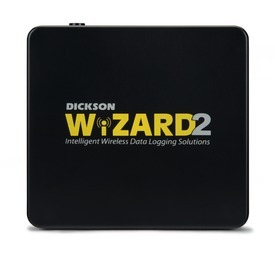 These loggers wirelessly record temperature only and provide a number of different probe options. With the K-Thermocouple probes the applications are almost limitless. Choose from various models with probes, alarms, and displays. Record two channels: temperature and humidity from any number of locations around your facility. All of the loggers are great for labs, clean rooms, storage areas, and many other areas you may want to monitor. Choose from various models with probes, alarms, and displays. Ethernet loggers are perfect when there is too much wireless interference and you need a reliable connection. These loggers record temperature only and provide a number of different probe options. With the K-Thermocouple probes the applications are almost limitless. Choose from various models with probes, alarms, and displays. Ethernet loggers are perfect when there is too much wireless interference and you need a reliable connection. Need to increase the reach of your wireless network? Use repeaters to get around walls, through floors, or to simply reach farther. 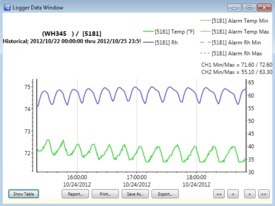 Record two channels: temperature and humidity from any number of locations around your facility. All of the loggers are great for labs, clean rooms, storage areas, and many other areas you may want to monitor. Choose from various models with probes, alarms, and displays.